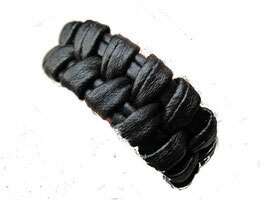 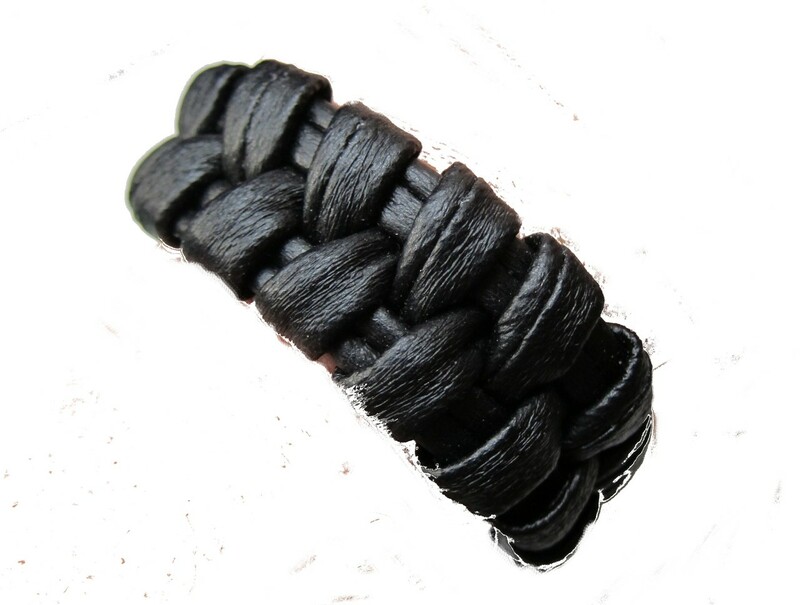 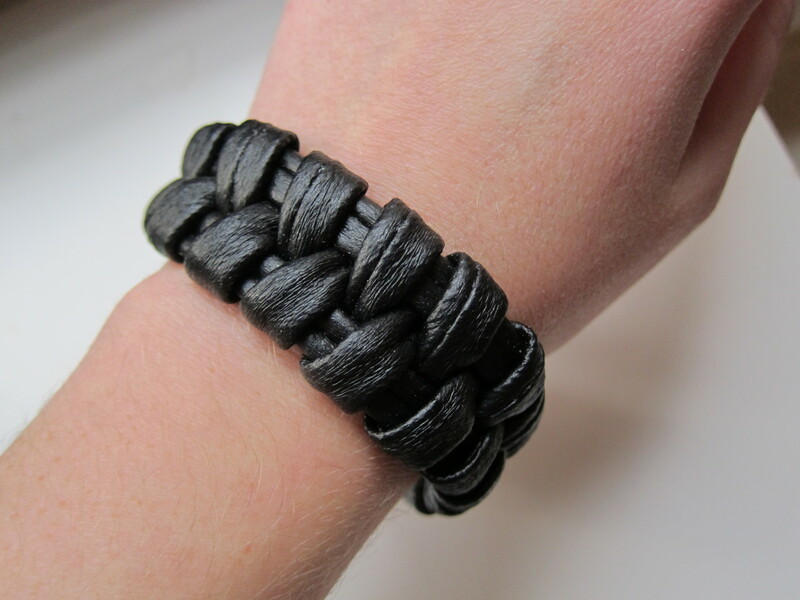 Super soft leather-like tubing woven into an cool bracelet. 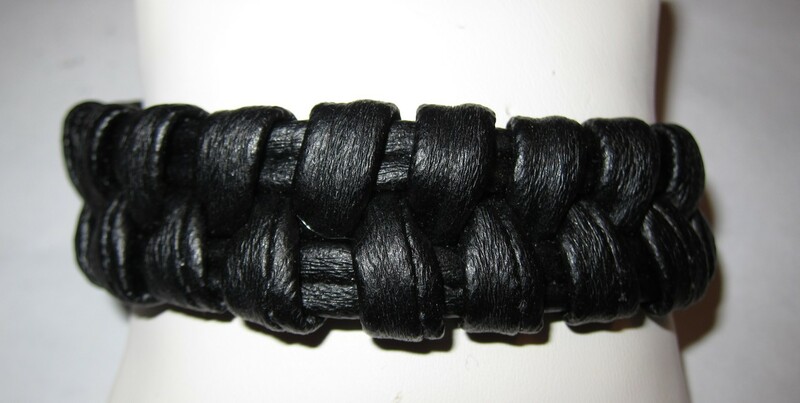 1" wide., lobster clasp closure. 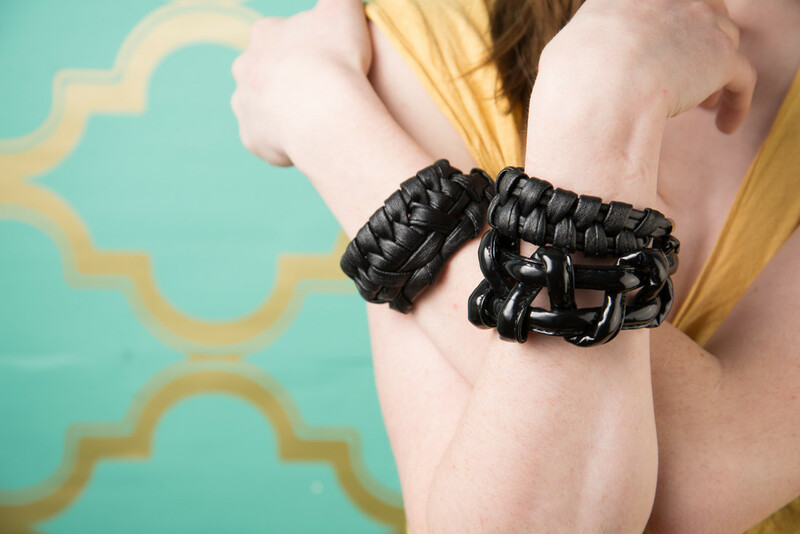 Wear with lots of bracelets, Layer it on!